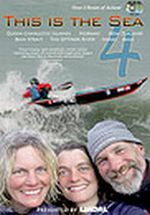 This is my review of This is the sea 4 DVD. This DVD is a 2 disc set and runs for 2.5 hour’s as you would expect the quality is excellent. 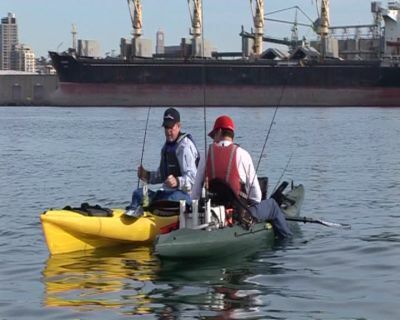 The low camera angles are really inspiring and entertaining what’s different with this DVD set is it contains some kayak fishing from both sit inside and sit on top. 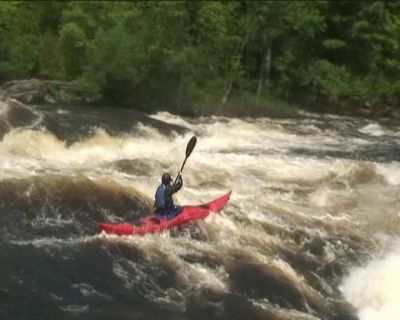 Mostly from sit on top kayaks in some fantastic locations the DVDs are made by Justine curgenven of cackle TV. 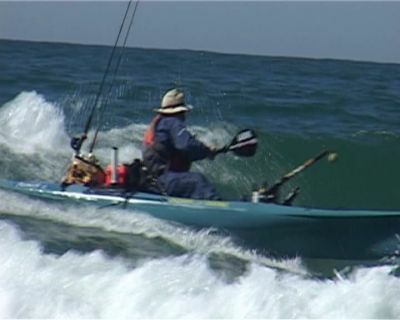 There is a good slice of kayak fishing in this DVD featuring amongst others Jim sammons fishing from a sit on top and catching plenty of nice fish the main fishing section is filmed in Sandiago Jim uses an interesting technique to catch the fish he catches called The dead stick method which would work well in many of our local marks here in the uk . Above Jim landing in the surf zone while fully rigged Will he fall out or not ? This is a fantastic DVD set its 2.5 hours long. 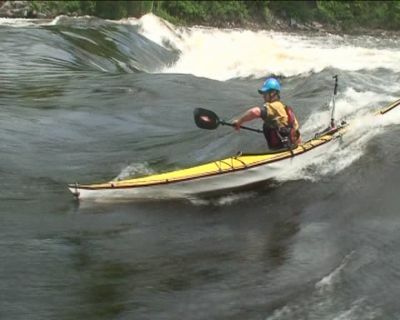 the paddling skills and low angle of many of the shots make you feel like you are there with the paddlers the fishing section is very well done and shows some great kayak set-ups and fishing this is the kind of DVD you will watch over and over again I know I have seen it 4 times today the retail of this 2 DVD set is £19.99 and worth every penny its available from all the main dealers and also directly from cackletv with a free postage discount. A small note of caution though once you start watching it you cant switch it off it is compelling watching.